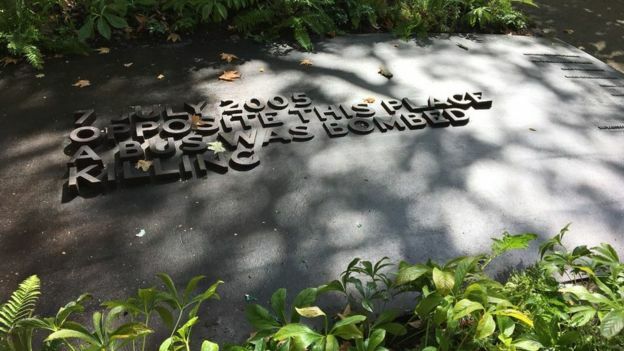 Recently unveiled, the Tavistock Square Gardens memorial honours the 13 people who died when the number 30 bus exploded in front of the British Medical Association office in the square on 7 July 2005. It also recognises the efforts of the emergency services and the public who helped in the aftermath of the attack. Fifty-two people died and 700 were injured in terror attacks across London’s transport system that day. A one minute silence was held at the unveiling of the memorial – which features the names of the 13 victims. Mayor of London Sadiq Khan was among those who attended the memorial unveiling.